Snail rearing can be a money-spinning business for prospective farmers if properly developed, says Ossai Iyore, a snail farmer at Ekiosa market in Benin. Iyore told the News Agency of Nigeria (NAN) on Tuesday in Benin that“` snails are the most common livestock to train”. According to her, the snail is one of the most prolific domestic animals as it can lay between four and 10 eggs which also become mature snails. “Snails handpicked from the bush (usually in the dead of the night) have been the only way to get snails to the market and dinner table. “As Nigeria’s population explodes and our forests continue to be sacrificed to build cities, the (bush) supply of snails cannot keep up with the soaring demand. 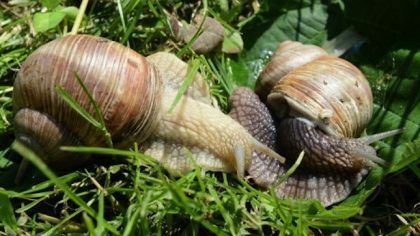 “This has created an opportunity in the market for snail breeders and farmers who now cultivate these interesting creatures on small farms and in their backyards for impressive profits,’’ she said. She noted that the major problem of snail farming was the downpour, adding that if farmers could provide a good cage, it would help in protecting it. She, therefore, urged the government to provide funds for young vibrant farmers to create job opportunities.